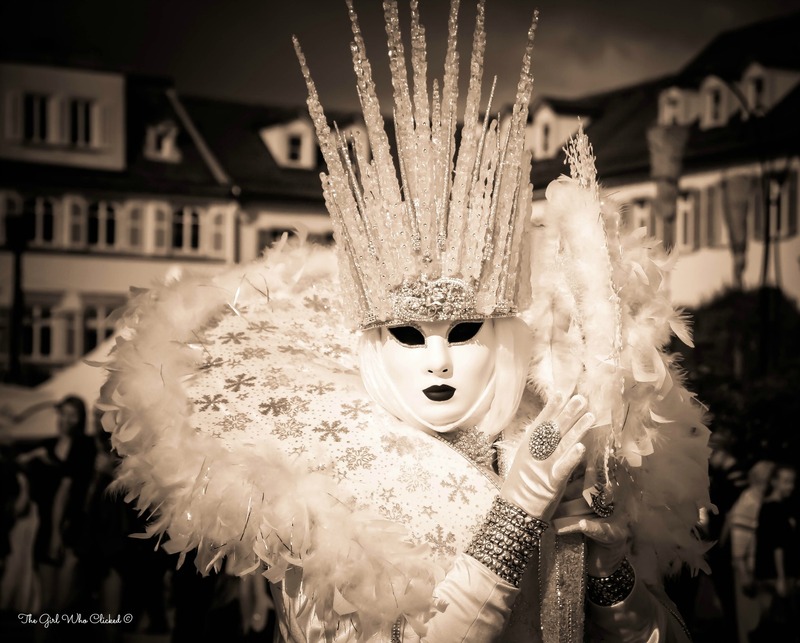 Last fall, I created a post about attending the Ludwigsburg Venetian Fair. The event has been described as “A touch of Venice in the middle of Germany” and it was so much fun to attend! I was fascinated by the beautiful and elaborate costumes. Each costume was so grand and exquisite that it was hard to decide where to point my camera first. The fair is only held every two years, so I’m already looking forward to attending the 2016 Venetian Fair. Here is one of my favorite costumes from the event, the Ice Queen.